Are you looking for some live theatre this weekend? Found it! - at The Little Theatre of Mechanicsburg. This local, community theatre will produce "You're A Good Man, Charlie Brown" this weekend. 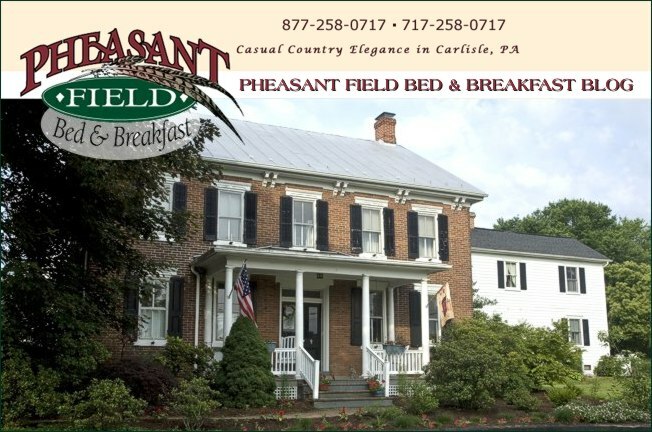 There is always one more project here at Pheasant Field B&B! This week, we've been painting Boxwood Cottage. During the winter season, we try to refresh and redecorate rooms and common areas. This is just one more way we want to maintain our "Simply the Best" status with readers of Harrisburg Magazine and with ALL of guests. We also had a surprise project this week: we replaced our 17 year old pump in our well. That's not one of those upgrades that you see when visiting the B&B, but you will certainly feel the benefits in nice strong water pressure in your shower! Next project? We have something in mind - watch our blog or facebook posts for the scoop.